This March, Grey County is holding a final series of public open houses and one last public meeting to discuss its new official plan draft. Open houses will be held throughout the county from March 12-14 and the formal public meeting will be held on March 27 at the Grey County administration building in Owen Sound. Four public open houses will allow residents and businesses to learn about Grey County’s land use planning goals, the policies that guide development and protect natural areas and how proposed changes to the official plan could impact future uses of land. County staff will be available to answer questions, explain policy changes and walk attendees through mapping. No appointments are needed for these informal drop-in sessions. Two open houses will be held at Grey Ag Services, 206 Toronto Street South, Unit 3, in Markdale, on Monday, March 12 from 10:00 a.m. to 3:00 p.m. and again on Wednesday, March 14 from 6:00 p.m. – 9:00 p.m. On Tuesday, March 13 county staff will be at the Grey County Federation of Agriculture at 446 10th Street in Hanover from 9:30 a.m. to 12:30 p.m. The last open house will be hosted at the Grey County administration building, 595 9th Ave. East, Owen Sound, on March 15 from 9:00 a.m. to 2:00 p.m.
Markdale Mon., March 12 - 10:00 a.m. - 3:00 p.m.
Wed., March 14 - 6:00 p.m. - 9:00 p.m.
Hanover Tues., March 13 - 9:30 a.m. - 12:30 p.m.
Owen Sound Thurs., March 15 - 9:00 a.m. - 2:00 p.m. The last formal public meeting to review the official plan will be held on March 27 at the Grey County Administration Building, 595 9th Avenue East in Owen Sound from 6:30 p.m. to 9:00 p.m. At this meeting, Grey County staff will highlight key changes of the proposed new official plan, including suggested revisions already received from the public. After the presentation there will be an open public question and comment period. Following the public meeting, planning staff will review all the comments and prepare a revised draft plan. This revision will be presented to Grey County Council late in the spring for endorsement. Anyone unable to attend the open houses or public meeting can find a draft of the new Grey County Official Plan online at www.Grey.ca/RecolourGrey. There is also a link to a new interactive map which lets users compare current land uses and changes proposed in the new official plan. For more information about Recolour Grey or the official plan, email recolour@grey.ca or call 1‑800‑567‑4739. An official plan is an important land use planning tool that helps manage land and resources.  The Grey County Official Plan is a forward-looking document that sets goals and policies about how Grey County should grow and develop over the next 20 years. Land use planning affects almost every area of life. It impacts where parks and schools should be located and where infrastructure like roads, sewers and other services should be installed. It also maps important environmental features we want to protect. For media inquiries contact Rob Hatten, communications manager, at rob.hatten@grey.ca or call 519‑372‑0219 ext.1235 or 519-373-1592.